Today, we focus on the road to ultimate business success. This is powered by a growing customer base, increasing loyalty and customer retention. Here are some innovative marketing ideas to increase your competitive edge by delivering more value to women customers. Do you know it currently takes a woman an average of three hours and 20 minutes to buy a car? Most women feel “highly inconvenienced” by this, especially because time is one of women’s most prized commodities. Implement a marketing approach where buyers can seal the deal in two hours or less. Bring a new vehicle to her place of business or home to test drive; this concierge service is attractive to women, as again, it is time saving. Car buying is a costly purchase. Women buyers, especially, take a lot of time to research the dealership and learn about the vehicles before they make their final decision. In the car itself, there are so many buttons and touch points on a dashboard. Who can remember all the things said during a test drive? Most buyers spend no more than five minutes learning about their NAV or tech packages and leave the dealership unfamiliar with these aspects of their new vehicle. Have classes for consumers to attend, post-purchase, about the cars’ technology and perhaps some one-page cheat sheets for them. Having access via email, text, Twitter, Instagram or Facebook to your dealership’s technology expert is a must. Women rely on car dealer reviews 50 percent more than men. It makes sense; they want to get their car-buying right! They really want to buy from well-reputed and trusted dealers. To build strong brand reputation and attract more women buyers, dealers can get reviews from women shoppers and train their sales team to deliver the ultimate car-buying experience to every customer who walks in the store. This low cost model is a win-win. It is difficult for businesses to acknowledge their mistakes. When it comes to client retention, “holding up your hand” in business, is paramount. For example, when it comes to reviews — keep it real and be transparent. Ask to have a one-on-one discussion with the consumer via telephone. Market your dealership in such a way so that all customers feel included and a valued part of the process. Editor's Note: This is a contributed column from Women-Drivers.com. 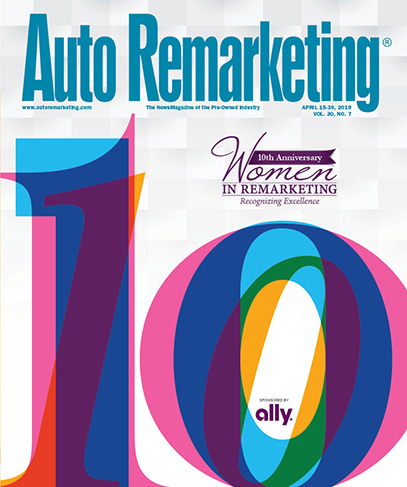 Anne Fleming, who heads up the site, was a 2013 Women in Remarketing honoree and is a frequent guest columnist for Auto Remarketing.